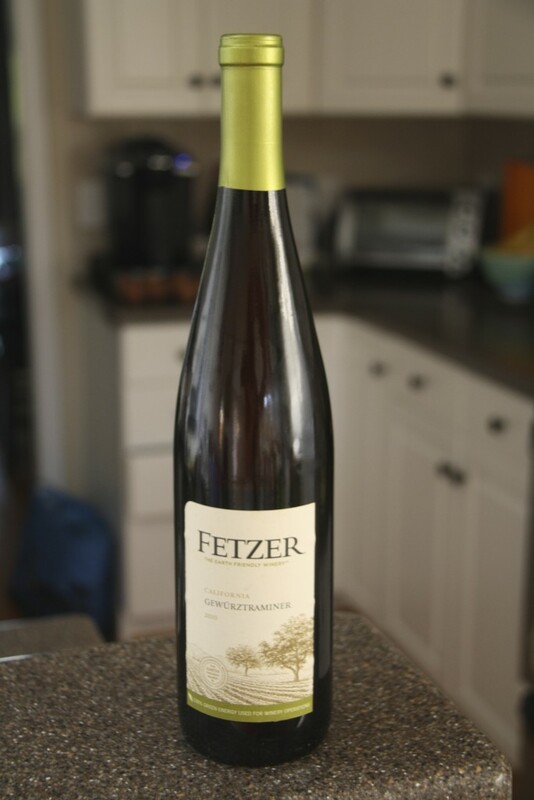 This is one of my regular “go to” wines – a wine I pick up to have on hand when guests are coming over or open when I just want to sip something familiar and comfortable. It’s been one of my regulars for almost three years when I first discovered this funny sounding but yummy tasting wine. It’s a great summer wine, though I drink it year round. I would say it’s a semi-sweet white, with hints of peach and pear to it and an almost honey, spiced finish. Don’t be scared by the semi-sweet description… I’ve introduced it to people who prefer a more dry wine and they’ve been surprised how much they like it. It’s a really nice balance to a dish with lots of heat, like a spicy Thai or Asian. PS, if you happen to pick up one of their bottles and see it’s labeled “Shaly Loam Gewurztraminer” it’s the same as the one you see pictured below. I actually had one of the regular ones and one labeled Shaly Loam and wasn’t sure what the difference was and I emailed Fetzer. I heard back from them the next day and they kindly explained it was just a new label that designated the type of soil that their Gewurztraminer vineyards are planted in. Thanks for the extra info, Fetzer folks! Would you buy again? Yes! I’ve bought this one again and again. 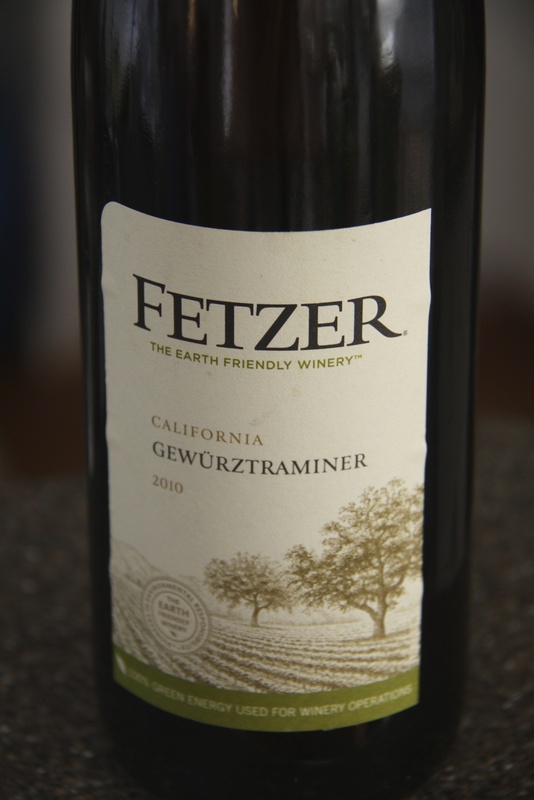 Fetzer’s Gewurtz is one of the first wines I ever enjoyed. I still like it today!